Implementation Strategies are designed to target and improve the Puget Sound 'Vital Signs,’ a carefully selected set of indicators of ecosystem health and human well-being. They prioritize and focus Puget Sound recovery actions, while adjusting for new and emerging science. There are nine Implementation Strategies in development and more yet to be launched. As they are completed they will provide essential content for the Puget Sound Action Agenda and will guide recovery efforts for years. The development of Implementation Strategies is funded by EPA, and led by several state agencies with cooperation from a multitude of partners. On the surface, Puget Sound seems like the picture of health. Its gorgeous blue waters and abundant wildlife draw tourists from around the world. And while the region's natural beauty is undeniable, it hides a disturbing truth. If Puget Sound were a patient, it would be pretty sick. That’s the general opinion of scientists and researchers who have been monitoring Puget Sound’s so-called Vital Signs — 25 indicators of ecosystem health ranging from water quality and shellfish harvests to Chinook salmon runs and human wellbeing. 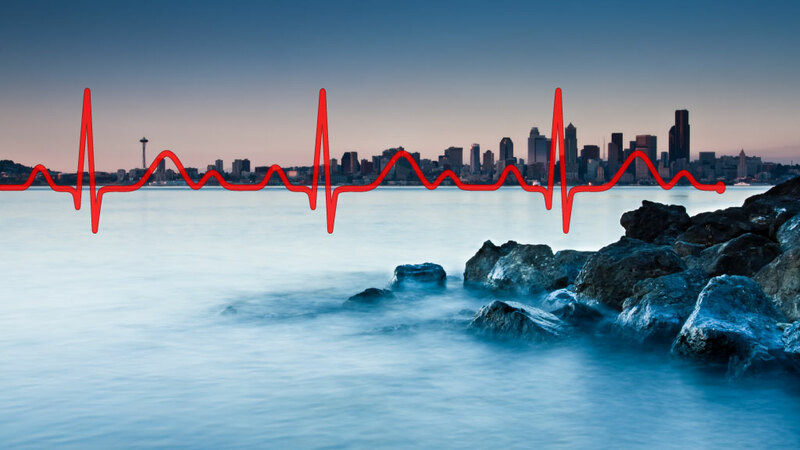 Creating these Vital Signs became an important step in Puget Sound recovery several years ago when they were established by the state as a way to gauge improvements or declines in the ecosystem. Scientists, like doctors, need some way to measure the health of the patient. But knowing how sick the patient is doesn’t necessarily solve the problem. You actually have to prescribe the correct treatment for a specific ailment and observe carefully to see if it is working. You adjust the treatment as needed. In a similar fashion, Puget Sound’s recovery docs are zeroing in on their patient’s problems. Implementation Strategies, a culmination of this process, are designed to target the Vital Signs in the most direct and coordinated way ever conducted for Puget Sound. If the treatment works, Puget Sound’s condition will improve. When the Puget Sound Partnership’s Leadership Council met for the first time in June of 2007, members believed that their mission would be difficult but not impossible. The Washington State Legislature had just passed a law creating the Puget Sound Partnership, a new agency charged with coordinating efforts to restore Puget Sound to a healthy condition. The agency would consider the entire watershed, from “snow caps to white caps,” and it would be part of one of the most ambitious cleanup efforts in the country, with a goal of significant change by 2020. The seven-member Leadership Council was placed in charge of the massive endeavor but was given no regulatory authority. Instead, the effort would rely on volunteer cooperation from local, state and federal agencies, tribes and — in the broadest sense — residents of the entire region. Plans would address habitat and species, water quality and quantity, and human health and well-being, as mandated by the Legislature. Experts quickly pointed out plenty of things that needed fixing. Just over a year after its first meeting, the Leadership Council adopted the first Action Agenda, a comprehensive conservation plan for Puget Sound – its roadmap to recovery. The Action Agenda outlined hundreds of projects to protect and restore the ecosystem, but it still needed a way to track progress. Identifying indicators of ecosystem health, known as “Vital Signs,” could give managers a sense of whether their actions were helping. The Leadership Council’s first chairman, Bill Ruckelshaus, recalls the difficulty of taking this next important step, as scientists involved in the selection process struggled to narrow down hundreds of possible indicators. The agency was dealing with an area twice the size of Connecticut with thousands of different species, more than 10,000 streams and plenty of opinions about where to focus recovery efforts. With the help of scientists from around the region, the Leadership Council narrowed the Vital Signs to 25 key indicators of ecosystem health, from orcas and Chinook salmon to clean water and protected forestland. No one doubts that past restoration projects have improved scattered habitats throughout the region, and protecting special places remains a key part of the endeavor. But getting Puget Sound on a clear road to health has proven difficult, and experts agree that more focused efforts are needed. The Puget Sound ecosystem is “super complex,” and the restoration effort involves a multitude of government entities and nongovernment partners, said Kari Stiles, adaptive systems manager for the Partnership. With many of the Vital Signs showing no improvement, the Implementation Strategies could help reveal effective pathways to success. So far, nine Implementation Strategies are under development, with more yet to be launched. As completed, these will provide essential content for the Puget Sound Action Agenda and will guide recovery efforts for years. The implementation Strategies are part of an overall “adaptive” approach to management for Puget Sound — the idea that successful efforts should be recognized and propagated elsewhere, while less effective actions should be revised or eliminated. Interdisciplinary teams of scientists and other experts are combining their forces to account for new and emerging issues, as well as the practical considerations that come with moving from planning to implementation. Read more: Adaptive Management: What, why, and how? 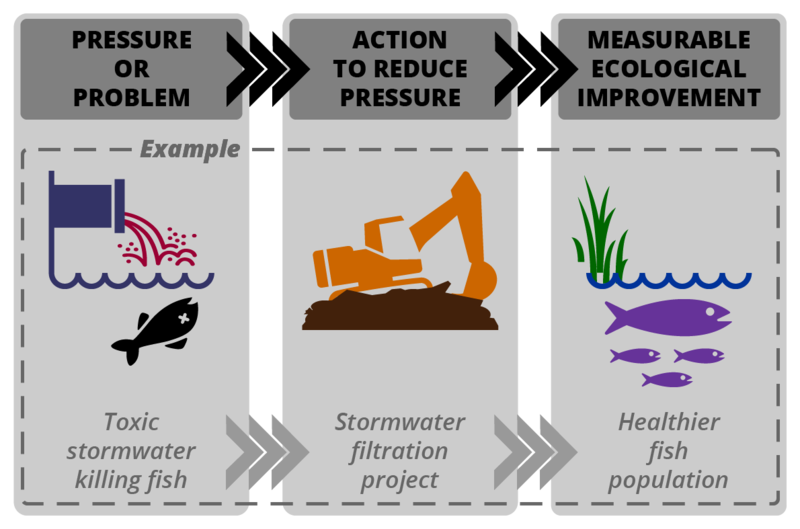 Each Implementation Strategy addresses a problem — such as the loss of shellfish beds or toxic chemicals in fish — by first identifying the various “pressures” that created the problem. Actions that might help reduce the pressures and solve the problem are considered and prioritized, informed by the latest scientific findings and understanding. In the case of shellfish beds, the goal is to allow for the safe harvesting of shellfish, an economic and cultural tradition going back to the mid-1800s. Washington leads every other state in commercial shellfish production, and each year Puget Sound growers sell more than 16 million pounds of clams, oysters and mussels worth more than $72 million. That production is still significant, despite the closure of thousands of acres of shellfish beds because of pollution. Cleaning up just a portion of that pollution could result in hundreds of new jobs in the shellfish industry, as well as expanded recreational opportunities on public and private beaches. Ready access to shellfish remains important for many people — including Native Americans, who eat a lot of fish and shellfish and place these traditional foods at the center of their cultural gatherings. The approved indicator for healthy beaches calls for a net increase in shellfish beds open to commercial and recreational harvest. The Implementation Strategy describes a series of high priority “approaches” for reducing pollution, such as that from failing septic systems. Ideas include programs to increase awareness among homeowners while providing funding for needed upgrades. Much of that work is underway. The shellfish Implementation Strategy also has revealed that more work is needed in areas where shellfish beds are affected by agricultural runoff. One priority approach includes increased support for farmers who raise livestock to improve waste-management systems. While the shellfish strategy involves cleaning up pollution, it also recognizes that currently open shellfish-growing areas must remain open. Otherwise, reaching the target of a net increase of 10,800 acres of harvestable shellfish beds becomes even more difficult. Careful monitoring and rapid response to increasing pollution are considered essential. The new Implementation Strategies are organized under the three existing strategic areas of emphasis, or Strategic Initiatives, in the Action Agenda. Labeled Stormwater, Shellfish and Habitat, each initiative is led by one or more agencies. The EPA is a major source of funding for development of the Implementation Strategies, with funds flowing through the congressionally authorized National Estuary Program. What is contained in an Implementation Strategy? A description of current conditions: What is the status of the Vital Signs indicator, and how much work is left to be done before the target is reached? Logic models: What are the problems to be overcome, and what sequence of actions will most likely lead to the desired improvement? Ongoing programs: What efforts are already established to improve the conditions, and how effective are those programs? New ideas: How will changes in policies, actions and approaches best achieve the goal? Science and research: Is the natural system understood well enough to predict the consequences of human intervention? If not, what further studies are needed? Monitoring: Are the ongoing ecosystem changes adequately measured? What will it take to understand the outcome of various actions? Adaptive management: How could prescribed actions be changed in response to what is learned along the way? Costs: Once a strategy is outlined, what kind of financial support is needed for each of the proposed actions needed to achieve the recovery target? Progress: None. Nearly all populations are declining or show no trend. Status of IS: In progress, completion mid-2017. Target: Increase the area of eelgrass beds by 20 percent over a 2000-2008-baseline measurement. Progress: None. The amount of eelgrass has grown to about 8 percent above the baseline, but experts declared the trend “not changing” because of uncertainties in the estimates. High-level strategies: Protect eelgrass through regulations and state leasing policies; retrofit docks to allow light to pass through; locate mooring buoys away from eelgrass beds; expand no-anchor zones in eelgrass areas; and reduce pollution that can increase water turbidity. Status of IS: Early prototype, not complete. Progress: 2,791 acres have been restored as a result of 28 restoration projects. High-level strategies: Incomplete, but ideas include working with the agricultural community to restore unusable farmland; improving nearby drainage for agriculture; and rezoning or purchasing upland areas to allow farmers to relocate from lands affected by rising tides. Status of IS: Overall strategy and narrative complete. Still to be developed are specific actions, changes in programs and policies, needs for research and monitoring, and cost estimates. Progress: About 3,851 acres of floodplains have been improved with 56 projects through 2015. High-level strategies: Discourage development and redevelopment in sensitive floodplains; restore floodplains, including levee removal or setback; and involve communities in land-use planning. Progress: Mixed. Only 76 percent of “excellent” streams maintained that ranking, but more streams listed as “fair” improved than declined. High-level strategies: To be developed. Status of IS: Planning underway, completion late 2017. Progress: None. Losses may be occurring at an increasing rate. High-level strategies: Improve implementation of growth-management regulations to protect sensitive lands; increase acquisition of important habitats; provide incentives for protection by private landowners; and encourage compact growth. Target: Net increase of 10,800 acres by 2020, including 7,000 acres where harvest was prohibited. Progress: New openings of 9,254 acres and closures of 5,559 acres result in a net increase of 3,695 acres by September 2016. High-level strategies: Identify and repair failing septic systems; work with farmers to improve manure management systems where; and protect upgraded areas from further pollution. Progress: The total amount permitted armoring removals in two years — 2014 and 2015 — exceeded the amount of permitted new construction, but total permitted construction since 2011 still exceeds removal. Multiple indicators: Toxic chemical levels in fish tissue. Targets: Toxic levels should fall below multiple health-effects thresholds and screening levels. Progress: Mixed. For example, levels of polychlorinated biphenyls (PCBs) have not declined in Pacific herring, but levels of polybrominated diphenyl ethers (PBDEs) have met the target except for a few samples in South Puget Sound. High-level strategies: To be developed for one or more indicators.